Coffee has always been (And always will be) one of my guilty pleasures. When I was growing up in Puerto Rico, "cafe" was as prevalent as soda is today in modern day America. In fact, one of my earliest memories as a child is of me holding and drinking from a bottle filled not with formula or juice but with what people call today a "Latte", and this was when I was a toddler! A few weeks back I went to one of St Michael's small groups meetings and the topic of coffee came up. 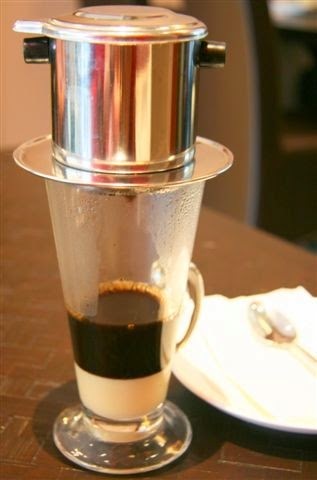 I mentioned that the most extreme form of coffee making I have ever experienced comes from the Vietnamese culture. Our host encouraged me to prepare some for them and using the tools at hand I made what I thought was a pretty acceptable cup. However I have to admit I did not made justice to what people in Vietnam drink. So I decided to place this video in the blog to give honor where honor is due.